The Chevrolet Suburban is, or was, very popular in America. A little-known fact is that the Chevrolet Suburban has been in existence for 75 years, and GM estimates that up to 2.4 million have been built. General Motors decided to celebrate by bringing together all the iterations of the Suburban over the years for an American media jaunt. 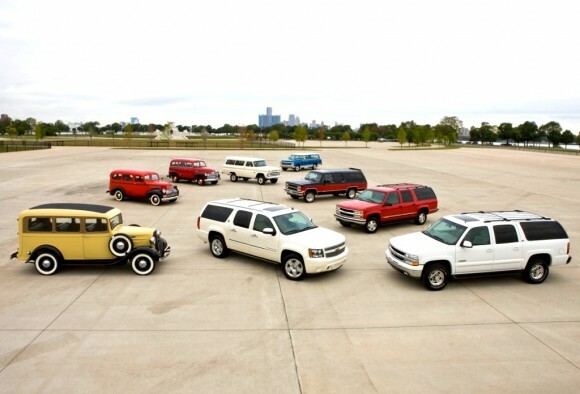 Models from 1936, 1946, 1951, 1966, 1972, 1990, 1999 and 2002 were at hand from GM’s U.S. Heritage Center, while a 75th anniversary Diamond edition of the 2011 Chevy Suburban was introduced.